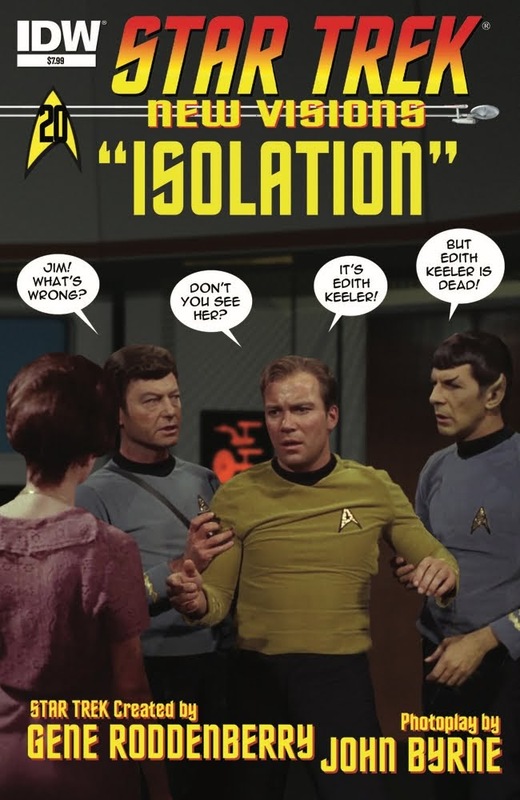 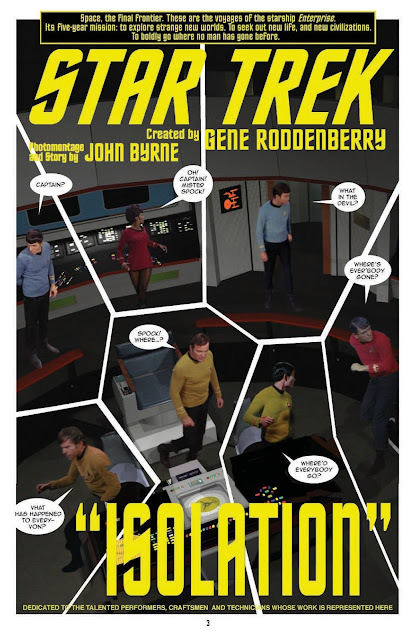 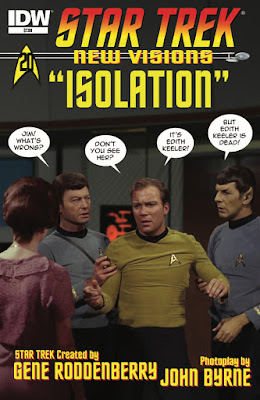 Out now is Isolation, the twentieth issue of IDW's and John Byrne's New Visions photocomic. 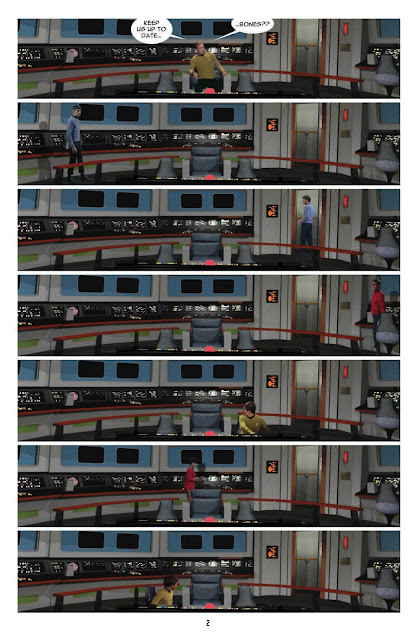 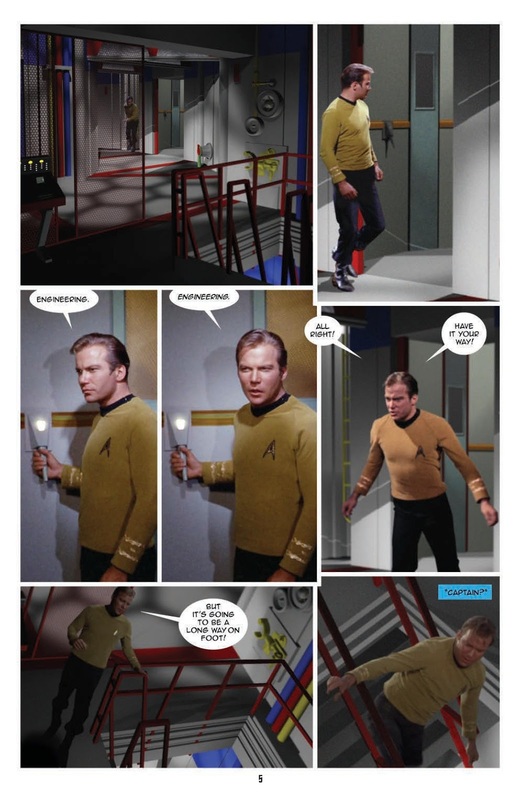 The story sees the main bridge crew each lost alone on the Enterprise, in a situation which allowed Bryne some interesting visuals, and a few cameos (which the photo-comic format neatly permits), including the one hinted at on the cover. The book, like many New Visions issues, also features a short back-up story, Like a Shadow... ...Like a Dream. 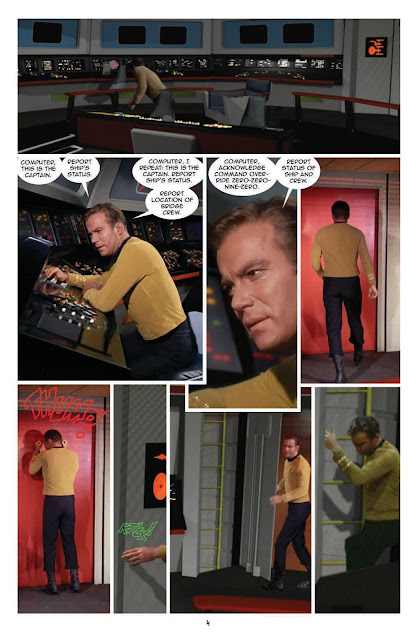 Continue below for a five-page preview of the main story. 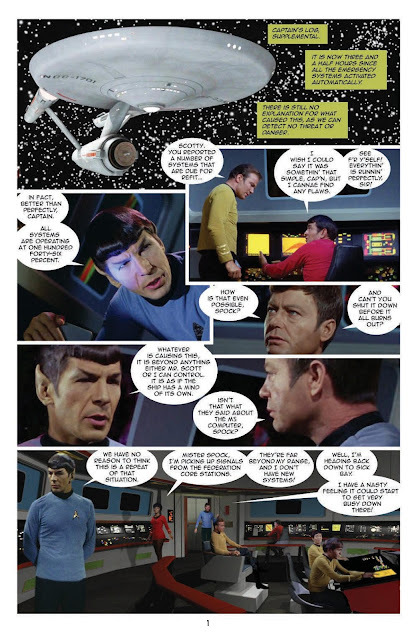 You can continue reading this story by picking up a copy at your local comic book shop, or from online retailers like these: Amazon, Things From Another World.